Through her heritage, an Enrolled Cherokee by blood, Neta Rhyne has a deep rooted connection to the Spirit of the Horse. Neta is a direct descendant of the “Trail Of Tears” where the horses and mules played an important role in the forced “Removal” of her ancestors to a new land. Today Rhynes’ home is located on Historic land in the small community of Toyahvale, Texas. In this Historic community, her home is located on the exact spot where 4,000 horses served the 1st Calvary in their “War Games”. Every year Neta witnesses thousands of horses, burros and mules being hauled through Toyahvale for THEIR LAST RIDE to a place they were never meant to be. This is an unacceptable ending for these majestic animals! Today Neta fights to bring awareness to the many hardships that horses face. 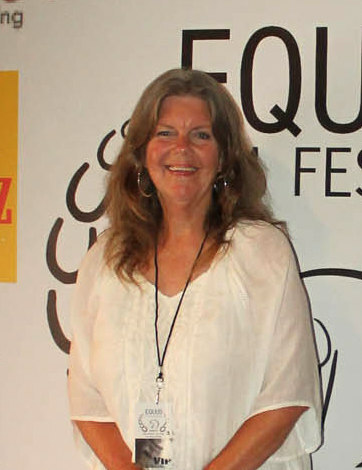 She created a community based organization, Thundering Hooves, to provide a platform to reach an audience unaware of the plight of the horses and to help connect people of all ages to the Spirit of the Horse. This successful outreach program has proven to be a catalysis to forward Netas’ goal of creating the change these noble creatures so deserve! Being of Native American and Zapotec heritage RoDriguez was taught and inspired by the traditions of his culture. While in film school at T.C.C. North East College, he started his career working as a production assistant and line-producer for commercials and independent film companies, where he learned the intricacies of feature film production from some of the most skilled and talented technicians in the industry. It is also here where RoDriguez began working as a actor and Producer for commercials and independent films. He then went on to acting on indie film, "The Prodigy." in 2005, “Walker Texas Ranger” TV series in 2006 and indie film “Black Nile” in 2006, where he was casted in indie film, "The Blue Jay." 2007. In 2008, RoDriguez was brought on to direct, produce, write, and compose the acclaimed PBS documentary “ The Rose A Sense of Place" that received a The Telly Award. He also began working as a Director, Producer, and Director of Photography (D.P.) with indie film “Uprising Of The Six Sun.” while working in the sound department on “I See World Peace” documentary film in 2012. With the extraordinary international success he Produced and Director of Photography (D.P.) a film, through his company So Be It Films... the political documentary “La Gran Falacia” (The Great Fallacy) Documentary in 2013.That received Official Selection & Best Spanish Language in 2013 SunScreen Film Festival, International Puerto Rico Heritage Film Festival 2013, and R.I.F.F. RINCON International Film Festival. Currently RoDriguez is working on Writing, Directing and Producing 2 feature films based on true events, 3 documentaries that focus on social problems and global social change - both inside the United States and throughout Africa, Brazil, India, and Haiti.